Mitchell Thacker and Captain Rengar Falger travel to a strange world seeking alien technology that will give their cause help in undermining their nemesis, the Polaris Corporation. In this unique collection, discover diverse tales, laden with shades of mystery. 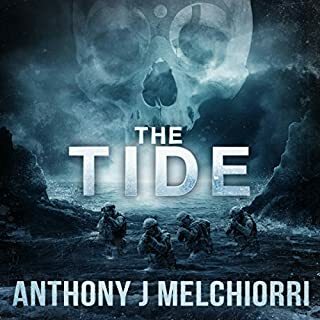 Come into a dark, strange world, a hyper-reality where nearly everything is firmly rooted in the familiar-except for some quirky detail that twists the yarn, and takes it for a spin in an unexpected direction. So prepare yourself: keep the lights on. Inspired by the author's art and by literature, these tales come from different times and places, with characters that search for their identity and challenge their hellish fate. Yet all of them share one thing in common: an unusual mind, one that is twisted. 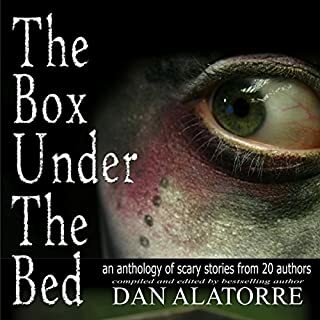 If you like to read a horror anthology in the strain of Edgar Allan Poe, or if you like to witness the battle between the devil and God, you will enjoy outwitting the devil in this book. Surprisingly, as befitting dark fantasy female protagonists, it is a woman--or rather, her ghost-who finds a way to outwit him. This is a collection of works of varying degrees and lengths. The longer pieces are complete stories with a linear narrative. The shorter pieces feel very much like poetry. All the stories are told from a first person narrative with the exception of one that is just prose back and fourth with the two characters and could easily be a song/duet for two singers. My favorite story was about a woman who is becoming conscious as a sculptor slowly molds her body and head out of clay. It took an unusual inanimate object and breathed life into it. Great story and a great ending. Definitely original and I look forward to reading / listening to more from this author. The narration was done very well, but way to slow. I generally listen to everything at 1.5 times speed. With this one, I bumped it up to 2 times speed and she still sounded like she was reading at the normal 1 times speed of most other audio books. This is not a bad thing, just an observation. 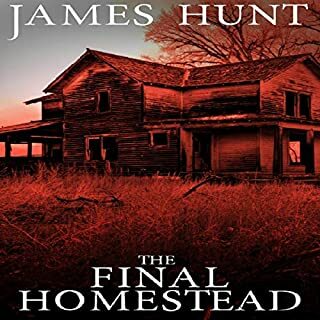 I requested review copy of this audio book and I am leaving this voluntary and honest review. 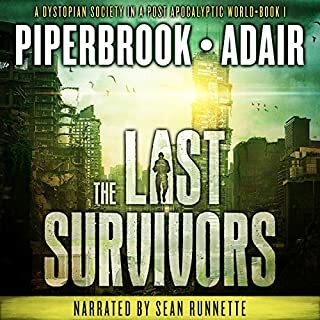 Where does Twisted rank among all the audiobooks you’ve listened to so far? Among the audiobooks I've heard so far, Twisted ranks in my top twenty percent, primarily because of the melding of narrator and story, but also because I love Poznansky's forays into the mythos of the Old Testament. What other book might you compare Twisted to and why? 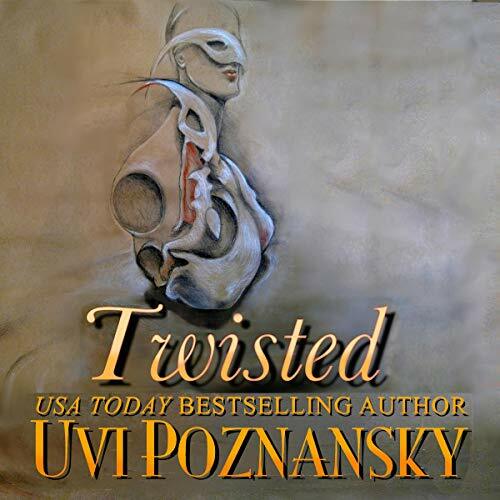 I can compare Twisted only to Uvi Povnasky's other works about Biblical characters and times. The author is creating her own canon, bit by careful bit. I'd call this book magical realism, but it isn't quite that because the characters are not of this time: it's a passionate recasting of Biblical legend for womens' perspectives, with a helping of honesty thrown in for good measure. These four stories feature female protagonists so real you want to touch them, so bold that their unapologetic and unforgettable nature will haunt you long after the narrator finishes telling you each tale. What does Heather Jane Hogan bring to the story that you wouldn’t experience if you just read the book? Heather Jane Hogan brings a finely wrought integrity to her readings, disappearing into each character in turn. Having these stories read to you allows the narrator to characterize each story differently; and different these feminine perspectives are, one form the other. Hogan breathes voice into each tale without ever overplaying her hand. If I could, I'd have listened to each of the four stories straight through. The narrated story "I Am What I Am" alone is worth the price of this quartet of tales. As the character searches for her identity in a word of symbol, myth, and metaphor, so do you. Job's wife has something to say to all women of every age, and does, and narrator Hogan makes sure you hear the message. Accompanied and enhanced by three other tales, I, Woman...The Hollow...and The One Who Never Leaves, this quartet transports you into a way of apprehending life that is different from your own, so that you see all through a rarefied artistic sensibility. Bravo, author and narrator! So, this is an interesting collection of shorts with a Twilight Zone style twist. My only complaint is the slow way the narrator read things. Her voices were fine, her tone is pleasant, but she just read so darn slow for the most part. I increased the speed to 1.5 and it was much more enjoyable. A collection of short stories written in surreal prose. As a listened to I, Woman I envisioned Uvi's sculpture of "Can We Take Flight" and it helped me understand the story. As a cat owner, I appreciated the cat's point of view in her story of the demanding but aloof cat. Heather Jane Hogan, narrator, brought the characters to life. This listen is not for the unimaginative but if sci-fi fantasy is your thing, you will definitely enjoy it. Uvi Poznansky's talent as an author cannot be understated, and I can't imagine a better lyrical accompaniment for her tales than Heather Jane Hogan. I've listened to this book a half-dozen times, and it always feels as though I'm listening to a discussion on the dark depths of the human condition in front of a roaring fire on a cold winter's day, warm cup of tea in hand. Another treat book by Uvi. I really enjoyed the story of Jobe's wife. However; I found the slow reading Heather to be very off putting. At one point I thought of increasing the speed. Saying yhat, that's just my opinion. Have a listen/read it is truly a great book. This is not a book for James Patterson fans. It's for those who love poetry, love to think, love the power of words. To those types of readers, I would most definitely recommend TWISTED. I loved the imagery of Ms. Poznansky's writing. She is a dreamer and an artist, and the wild flights that her mind takes are fascinating. My favorite scene/story within this collection of four stories was the one told from a clay figure's point of view., FROM DUST. I loved how well Ms. Poznansky gets into the minds of even an "inanimate" object, bringing the statue to life with power and possibilities. Amazing. Four women - their loves, lives, and anguish. LOVED IT LOVED IT LOVED IT !!!! You will be familiar with the stories.. by listening to them in this way brings them really to life..
Job's wife the nameless one has been she is most challenging and controversial figure in the Bible.. Which character – as performed by Heather Jane Hogan – was your favorite? Again Job's wife.. was shocked at first with the 4 letter word.. but It added more depth to her character..
Who was the most memorable character of Twisted and why? The Devil.. the voice was sweet and I felt this was how the devil will lure you in.. Enjoy the darker twist, but without the gore. Would you listen to Twisted again? Why? Yes. It was thought provoking and at times achingly beautiful. Perhaps to some of HP Lovecraft's light works, or Washington Irving's folk tales. Poznansky's works feature some little twist that turns the tale just slightly sideways, giving the reader a new way of looking at it. Lovecraft and Irving also do the same in many of their works. Have you listened to any of Heather Jane Hogan’s other performances before? How does this one compare? 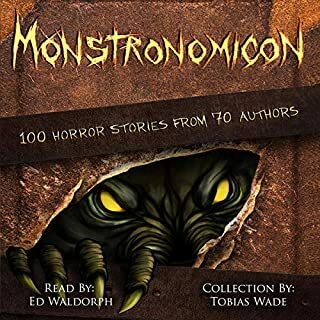 This was my first time enjoying Heather Hogan's narration. Uvi Poznansky takes the reader through the odd, the dark, the twisted with intelligence and artful form. I am hard put to say which was my favorite. I Am What I Am drew me in right away with the mystery of who this dead woman was. Not being familiar with Christian tales, I nevertheless enjoyed the rock and hard place Job’s wife found herself between. She did a lot of sighing, but if I were her, I would probably do so too….or cuss. I, Woman was sensual and full of creativity, just as I imagine sculpting with clay would be. Even though this was short, the main character grew over the space of the tale, at first thinking little of her clay companion, then coming to appreciate any communication with him, and finally, afraid of what lay before her, missing his constant presence. Perhaps this was my favorite. The Hollow went by a little too quickly for me, leaving a rather ghostly impression on me. Perhaps it was meant to do so as the woman was in free fall. The book ended with an unlooked for surprise in the last story, The One Who Never Leaves. It is all told from a cat’s perspective, tamed, trapped in domesticity. Being the servant to several cats, I completely connected with this story, recognizing that predatory glint in my cat’s eyes, as captured by the disgruntled feline of this story. In short, this is an excellent collection of short tales. Each was unique, standing on it’s own merits. I also loved that each was told through female eyes, allowing one more layer of connection. The Narration: Heather Jane Hogan provided clear, distinct voices, and even went extra lengths to give Satan in the first tale an unearthly tone. My only minor criticism was that the pacing was slow; however this may have been by request of the author.